I sent out Postcard US-2436388, titled "Open Happiness", to Austria today. 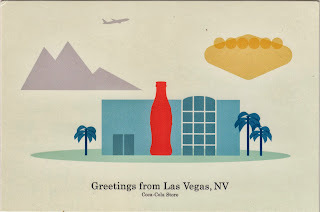 It shows a specialty store "Everything Coca-Cola" on the Las Vegas Boulevard South near the MGM Hotel and Casino. There is a giant glass coke bottle built in the front of the building. 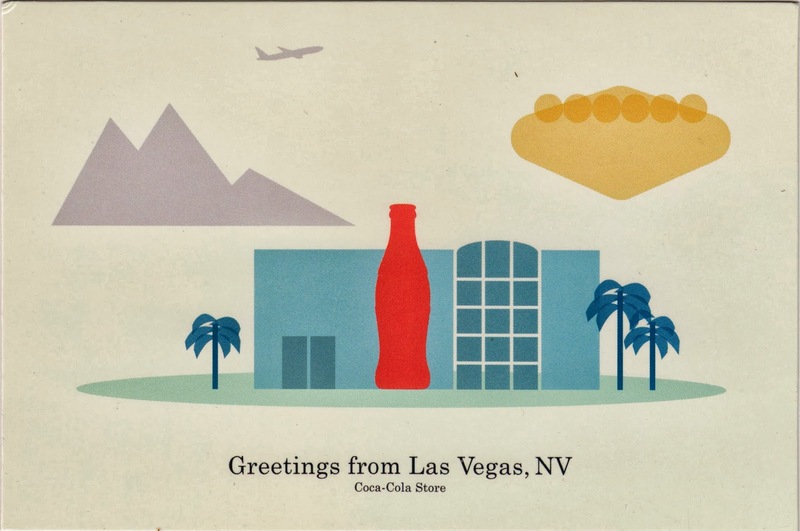 It has a lot of Coca-cola branded merchandise, including postcards. You can also have your picture taken with their 7 ft or 2.1 m tall Coca-Cola polar bear in front of a green screen. Photos are available for purchase with various polar landscapes added during the post-processing. On the second floor, there are soda fountains where you can order the "Tastes of the World" trays that offer 16 international coke flavors. Originally a Coke museum called "World of Coca-Cola West" in 1997, mirroring many of the extensive exhibits popular in Atlanta's World of Coca-Cola attraction. However, the museum was closed in 2000 and replaced by a full scale specialty store.